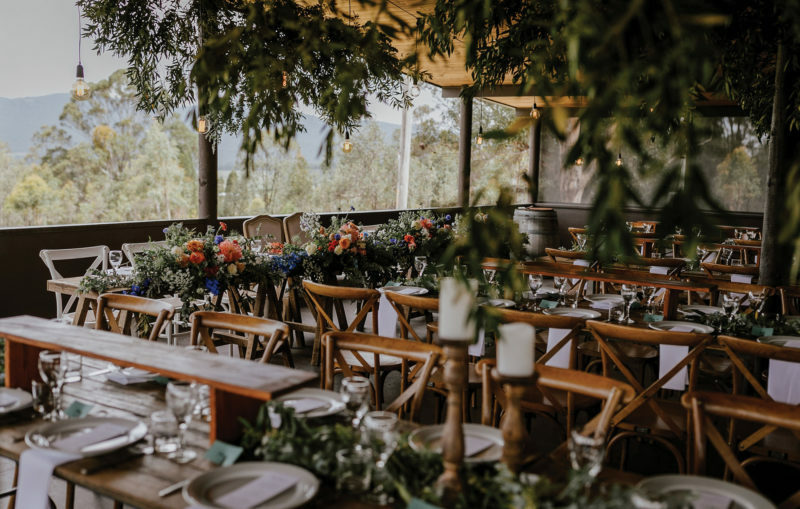 Weddings at Adams Peak are unique. 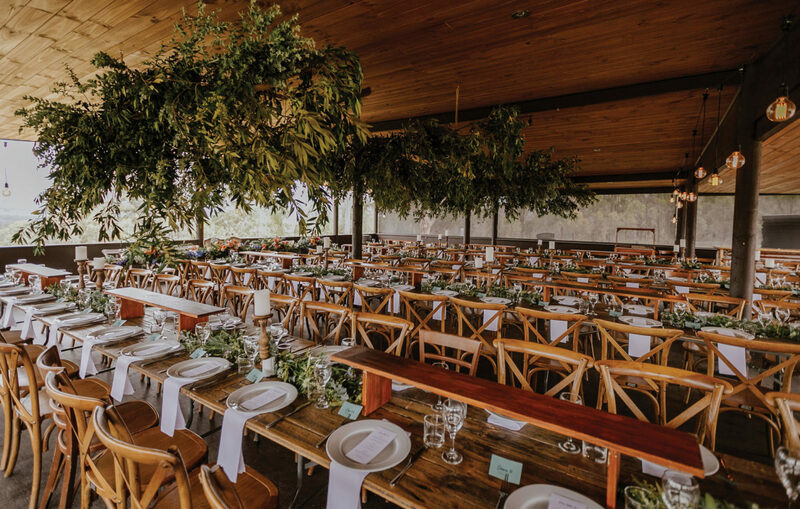 With exclusive use of the private Estate, you have the freedom to bring your dream wedding to life. 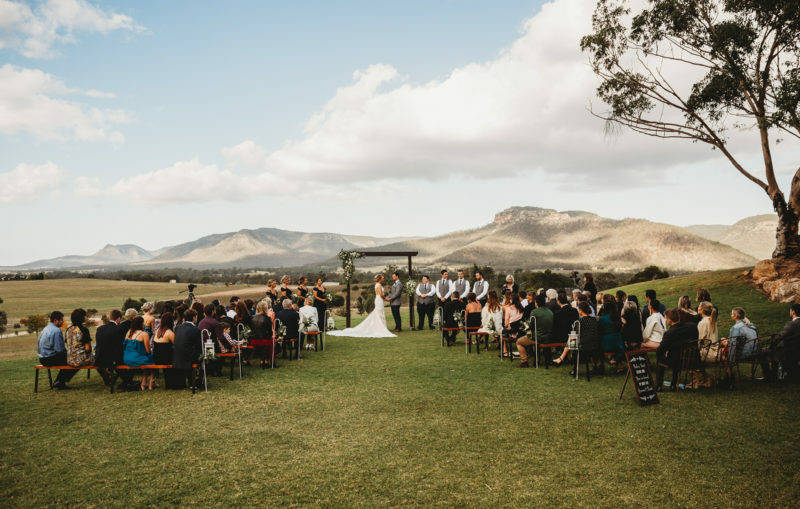 With so much flexibility in such a stunning setting, it’s not difficult to see why it’s one of the most sought after wedding venues in the region. 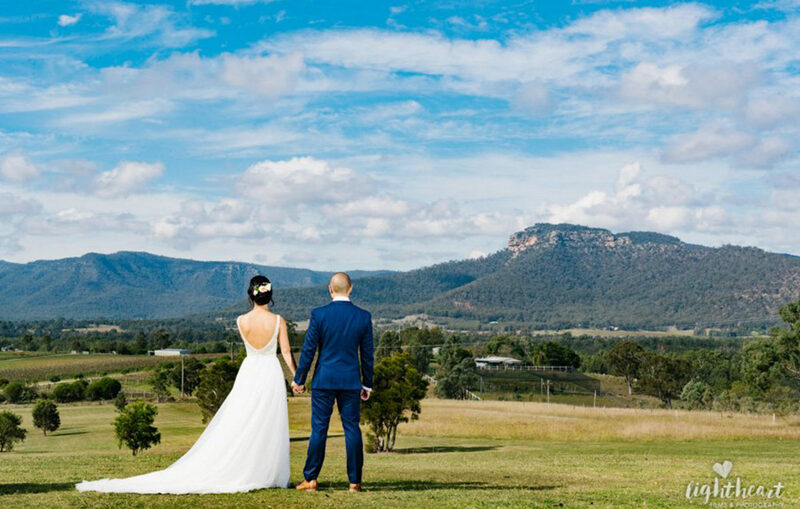 THE LAWN provides some of the most amazing views in the Upper Hunter. 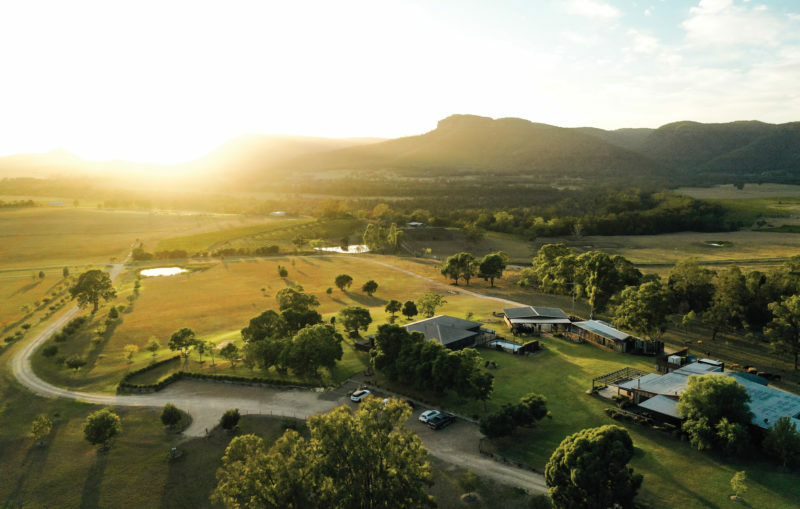 Brokenback Ranges, vineyards, and beautiful landscape as far as the eye can see. 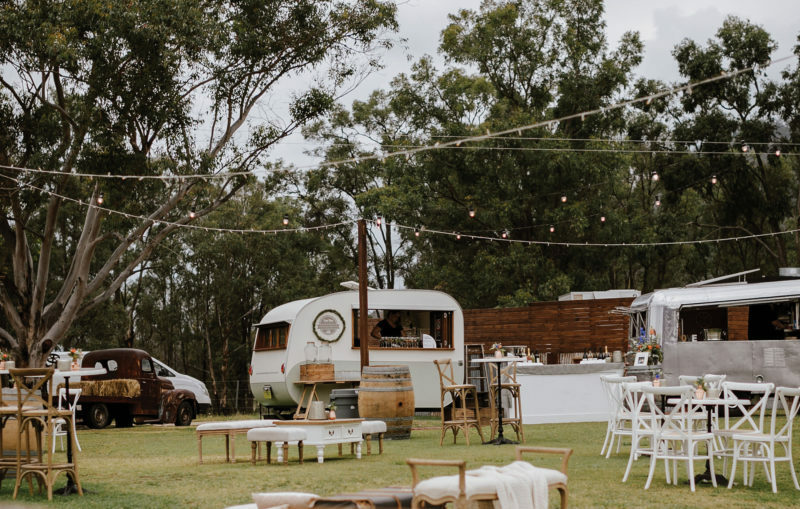 The Lawn is conveniently located beside The Deck and The Hill which is a perfect spot for your pre-dinner drinks, canapés and perhaps lawn games following the ceremony, to look out over the valley as the sun goes down. THE HILL is a little higher up than The Lawn, and also has breath taking views of the valley. This leaves The Lawn available for other activities like lawn games or pre-dinner drinks. THE SECRET TREE Wanting to tie the knot under a special tree? 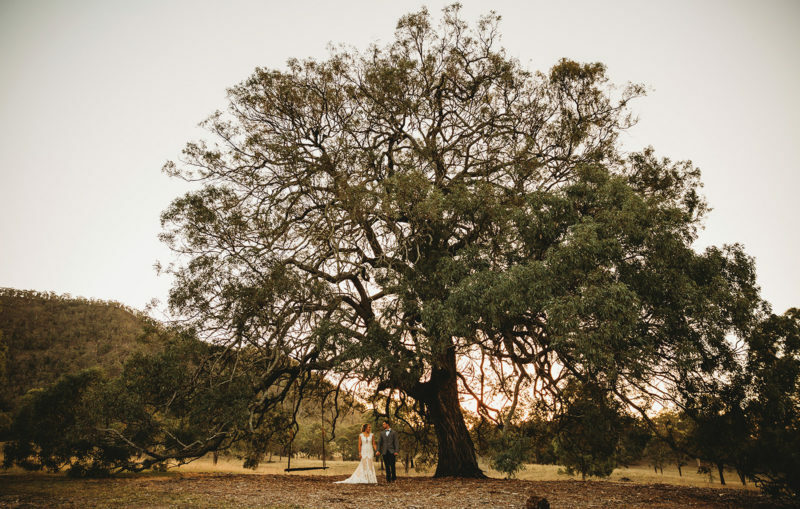 Located at the back of the property is a stunning hundred year old Iron Bark tree that is full of character and charm. 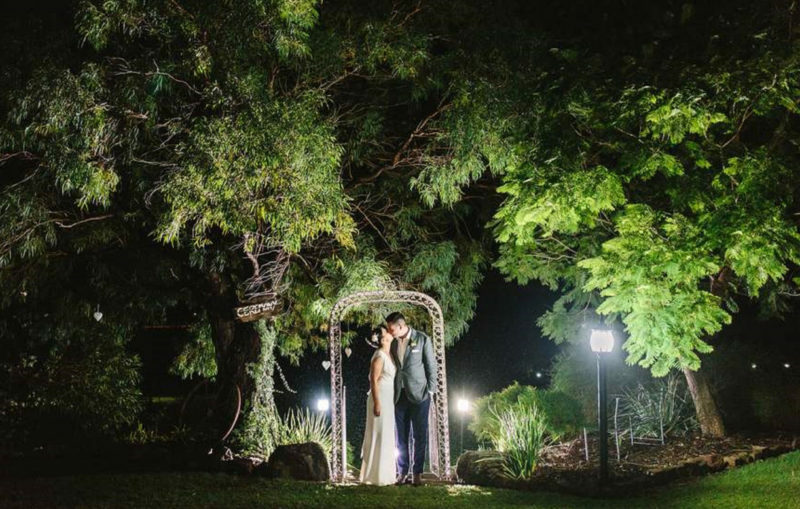 This is also a favourite location for wedding portraits. 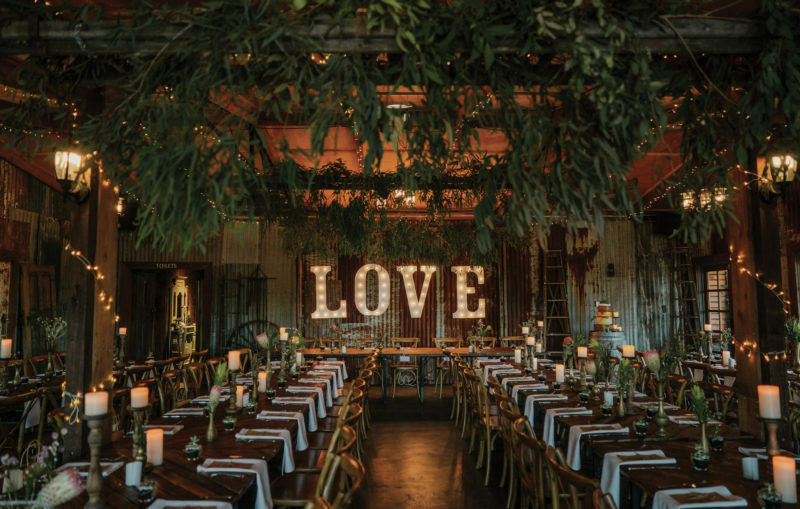 THE BARN is the perfect place for your rustic reception. It can be dressed to suit any style. 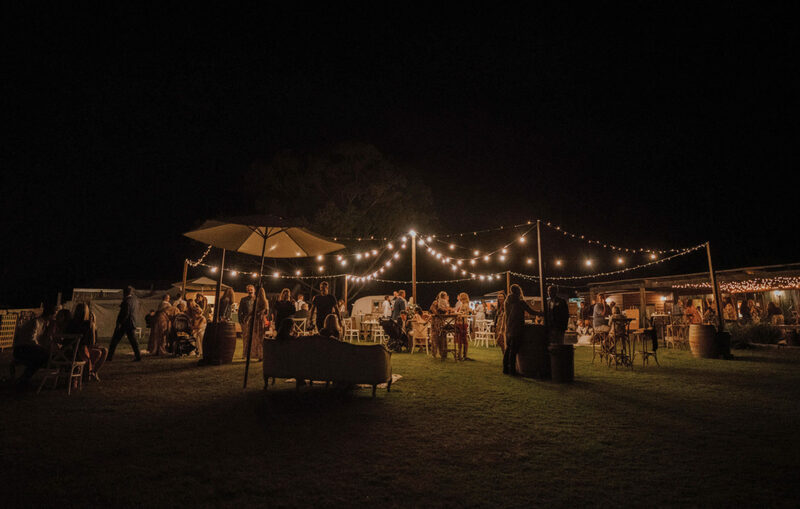 A large covered deck can be used as a chill out area, whiskey bar for later in the night or additional seating if your guest list grows. 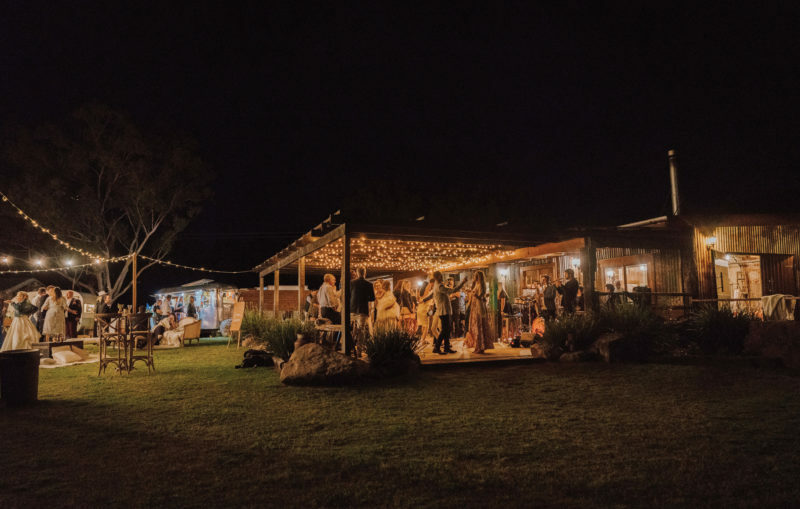 THE HAY SHED originally built as a wet weather ceremony area, but now couples are loving it as an option for their reception space in the warmer months due to extended sunlight hours. see what you can create together. FOOD The Exclusive Caterers, Monkey Place Catering, offer a selection of dining options from: a sit down dinner / alternate drop; casual buffet; share platters or a lavish cocktail party. 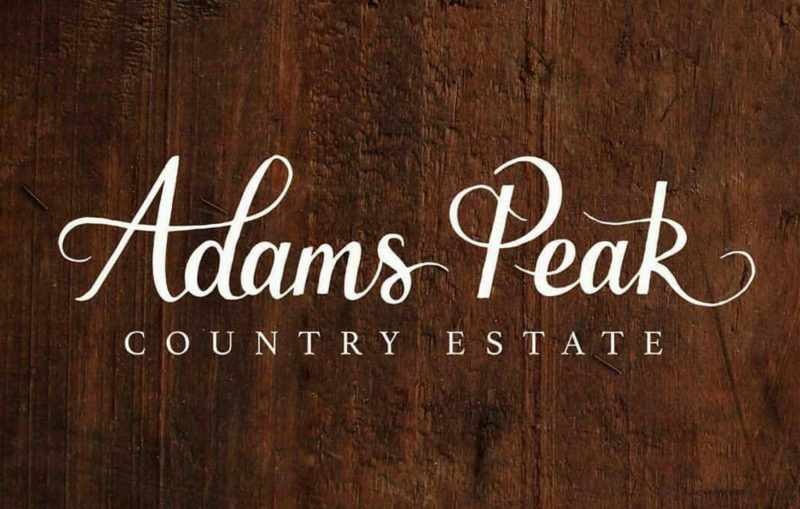 DRINKS Adams Peak is a BYO Venue. 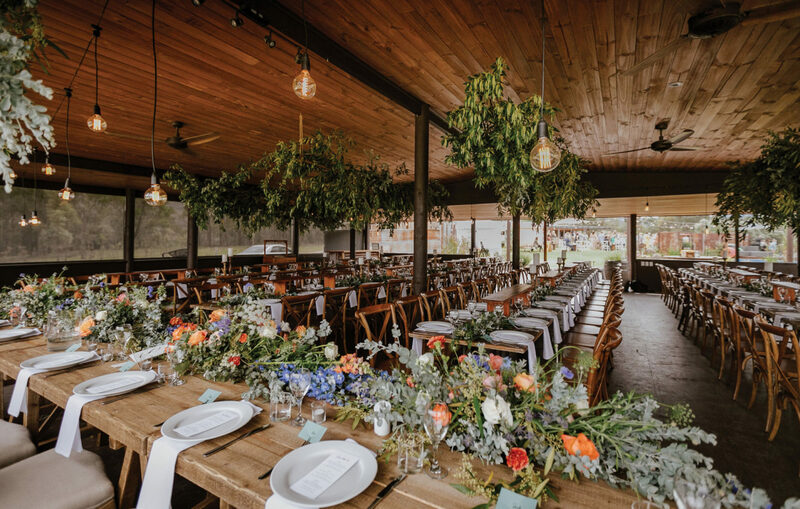 Exclusive supplier of Bar Staff Services is Williams & Co. Entertainment & Events, they will be able to answer questions and offer helpful advice. BAR AREAS Purpose-built bar areas make for your own “Bar“ where you can have bar staff serve your custom drinks menu. This venue has really thought of everything! THE HOUSE is made of 8 suites with queen size beds and separate ensuites – some rooms with additional single beds as well. 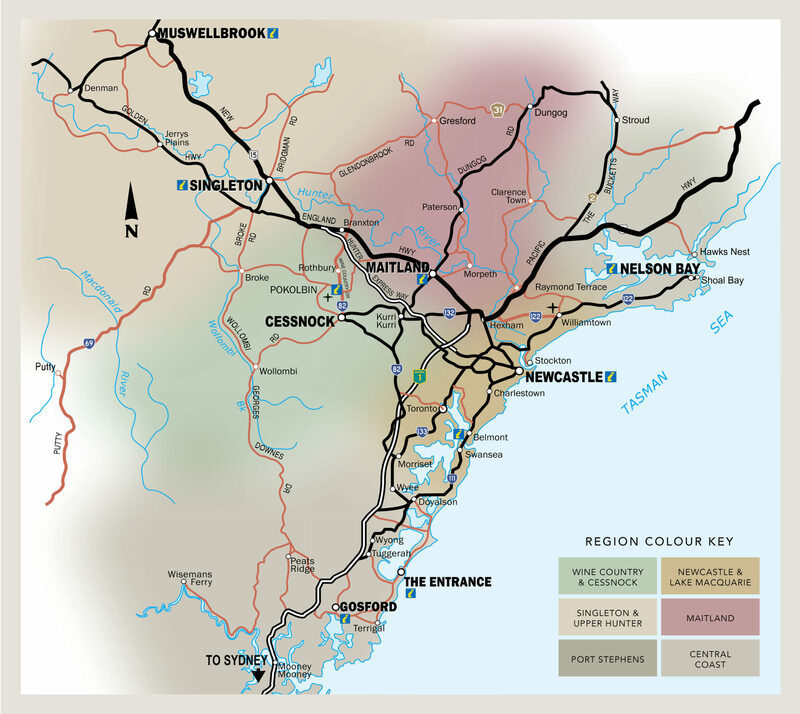 Providing excellent accommodation for up to 20 guests. 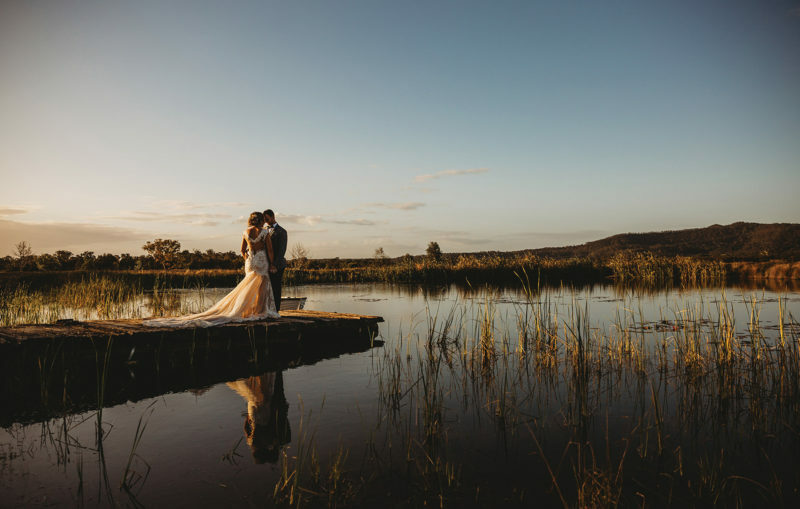 the wedding, as it provides privacy, and a perfect location for pre-wedding photos. There is an abundance of local accommodation within 5 minutes of the property for all additional wedding guests. 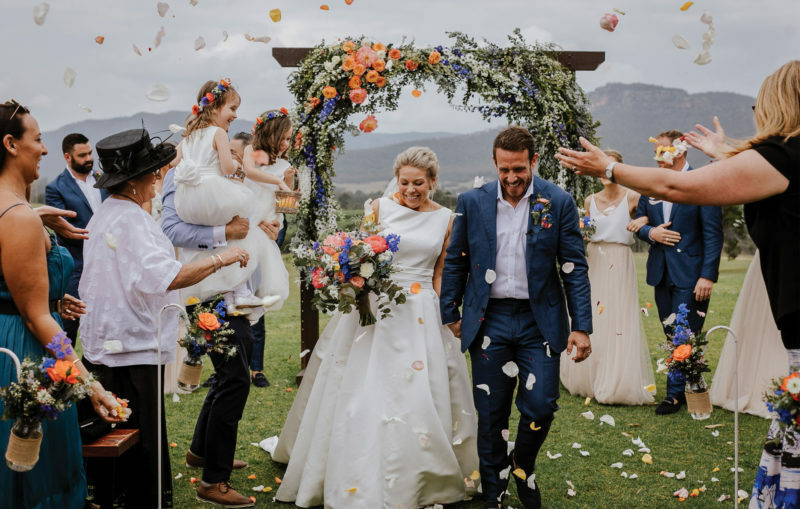 Adams Peak has hosted hundreds of weddings in all different styles – head to the REAL WEDDINGS section of the HVWP BLOG on this website for inspiration, read testimonials and to see much more of this truly extraordinary venue.